The Celestron NexImage Burst monochrome provides the high performance and low price of the color model but, thanks to the monochrome sensor, it has a higher sensitivity. The increased sensitivity allows you to reduce the shutter speed of the single frame reducing the problems caused by atmospheric turbulence: in this way you can obtain images with greater detail! In order to obtain color images, however, you must use a set of RGB filters and a filter wheel: the NexImage Burst monochrome is therefore less immediate in use than the color version. This camera has a monochromatic sensor, more sensitive than the same camera with color sensor. The Neximage Burst comes with a dedicated software to manage the images, also allowing the selection of ROI (Region Of Interest) lets you restrict the desired object framing, reducing the incoming data flow in order to occupy less hard disk space. Able to shoot images up to 120fps based on the resolution selected by the user. Compatible with Windows systems. The Neximage Burst camera connects in place of the eyepiece in 31.8mm connection. 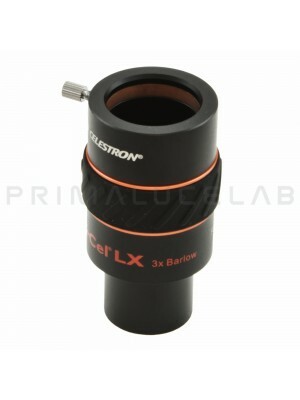 In order to increase the magnification, we recommend the use of a Barlow lens before the camera. Since the planetary cameras are equipped with a small sensor, in order to point and center more easily the object of interest we recommend using a Flip Mirror in which to insert both the camera and an eyepiece. Imaging the Moon with a telescope is not difficult. Follow our tutorial to find out how to record images and video at high magnification. The Moon is the astronomical object on which, very often, you aim the telescope for the first time and it's what the amateur astronomer usually wants to photograph first. 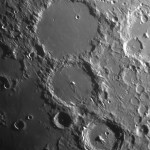 In this tutorial we explain how to, having a telescope, you can get great images of the Moon with both DSLR type or astronomy dedicated cameras (the ones that are usually called planetary cameras).